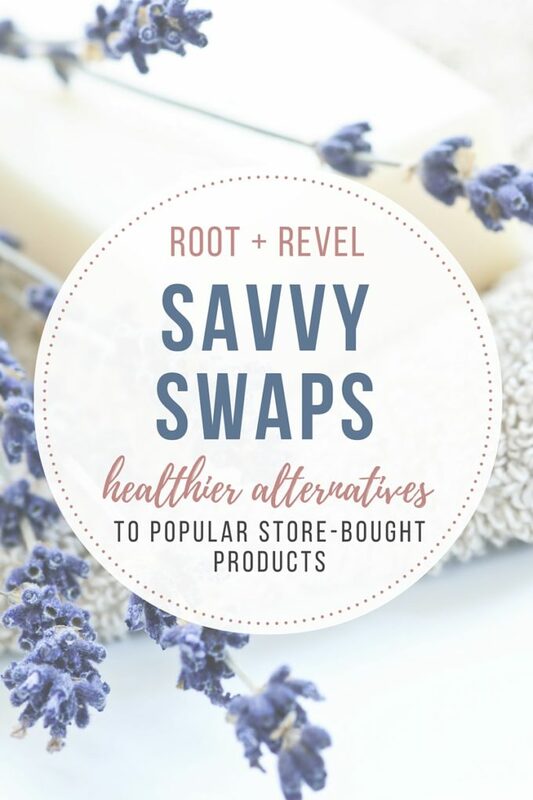 Welcome back to our series, Savvy Swaps, where we analyze popular store-bought products and offer up healthier alternatives, without any of the negative additives. Today, we’re tossing toxic beauty products for safer, natural cosmetics: concealer, foundation, bronzer and mascara. 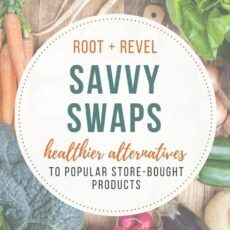 Though most people are willing to acknowledge the detrimental effects processed food has in our bodies, often, we forget about the other products we put on our bodies, even though they can be just as damaging. In fact, skin is our largest organ and absorbs over 60 percent of what we put on it—and these harmful chemicals go directly into our bloodstream! I know I assumed for a long time that dermatologist-recommended or expensive beauty products from Sephora and high-end retailers had to be high-quality and safe. Sadly, I couldn’t have been more wrong. Unfortunately, most store-bought beauty products are filled with a potent cocktail of carcinogens and other dangerous chemicals, including parabens, fragrance and harmful preservatives that mess with our hormones and irritate our skin. Note: The products shown above in the toxic cosmetic category are CoverGirl & Olay Eye Rehab Concealer, NARS Firming Foundation Liquid, Benefit Cosmetics Hoola Matte Bronzer and CoverGirl LashBlast Luxe Shimmery Volumizing Mascara. 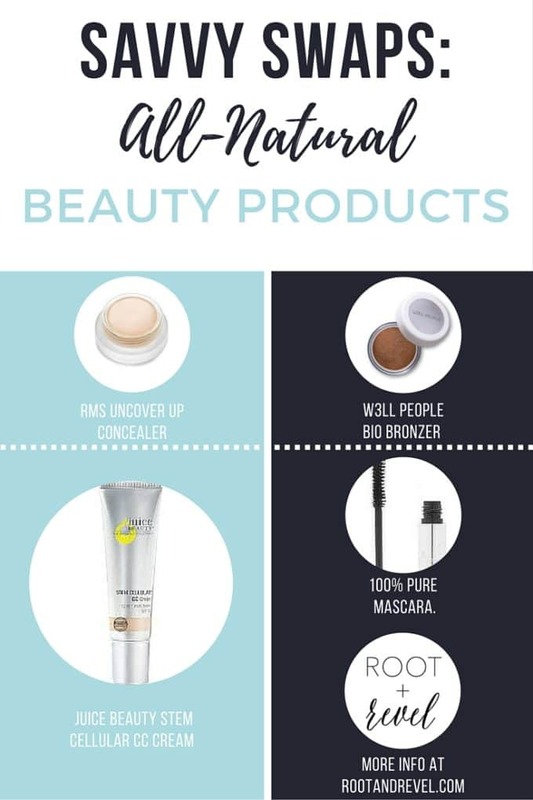 The products shown above in the safe cosmetic category are RMS Uncover Up, Juice Beauty Stem Cellular CC Cream, W3LL PEOPLE All Natural Bio Bronzer and 100% Pure Mascara. What’s so bad about these ingredients? Retinyl Palmitate: Rated a 9 by EWG, this form of Vitamin A, which has been restricted in Germany and Canada, may speed the development of skin tumors and lesions, and can contribute to excessive Vitamin A intake, which can cause birth defects. Oxybenzone: Rated an 8 by EWG, this sunscreen ingredient (which is restricted in Japan) is associated with photoallergic reactions, negative immune system effects and endocrine disruption. Benzyl Salicylate: Rated a 7 by EWG, this chemical is a known human immune system toxicant, allergen, endocrine disruptor and environmental toxin. Octinoxate: There is strong evidence this chemical (Rated a 6 by EWG) disrupts our endocrine system by mimicking hormones, not to mention causing harm to wildlife and the environment. To make matters worse, it’s also been shown to cause mutations, cell death and cardiovascular disease. I’ve personally tried each of these products and can vouch for not only their safety, but also their effectiveness and beauty. 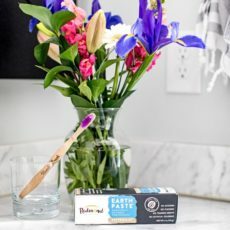 I’ve replaced the toxic beauty products I used to use with these and absolutely LOVE them! As always, be sure to read the ingredients label on any product you buy and search the item on EWG’s Skin Deep database to see how it ranks. Being aware and making informed decisions is the first, and most important, step. Just letting you know that I bought the mascara and it worked great. Not clumpy, held up all day without smearing under my eyes and washed off easy – the best organic mascara I’ve tried yet. Thanks for the recommendation, Kate! This is a great post, Kate. I’m slowly switching out all my makeup to healthier alternatives and I haven’t found a mascara yet that I like – so am giving the 100% Pure Mascara a try! Thanks!